The alpacas are here to answer anything you need to know. They can’t operate a computer but will happily help you plan the perfect day with your friends and family! Yes! Alpaca are very inquisitive and quite timid by nature. They are also much smaller, and more approachable than their big cousin, the Llama! Do you have to be a certain age to take part? Yes you should be over the age of 14 to take out one of our alpacas. If you are between the age of 8-14 you’re welcome to tag along beside an adult during the trek at no extra charge. We don’t allow more than one child per adult to alpaca however, in the interest of wellbeing for the animals. We’re planning to do a kids morning for under 8’s so you can join in too. Coming very soon! How much does a trek cost? It costs £20 per person. 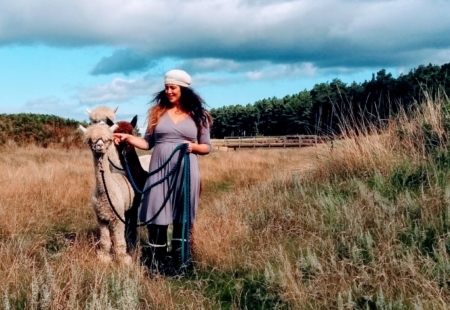 Can we visit the alpacas without booking? For bookings please be sure to book your time here on our calendar before coming along to meet the alpacas, so they know to come out and greet you! Can I book a trek alone? 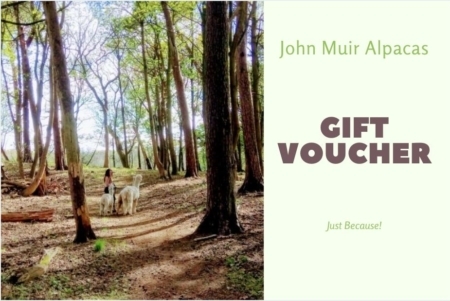 If you are a single person booking an alpaca trek, please can you email us to book alongside an existing booking, as alpacas are herd animals and prefer not trekking alone! Please book your preferred date and time on our calendar to meet the alpacas. We are a by booking only tourism destination, just near Dunbar in East Lothian. If you book here we will be in touch so you can easily find us! How many people can go trek per alpaca? 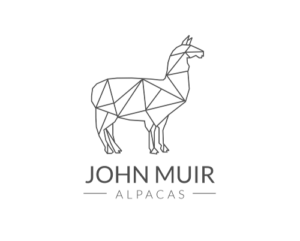 For the wellbeing of our animals we can only allow 1 adult per alpaca. Alpacas hum for lots of reasons! It can be when they are curious, content, bored, sometimes worried, or just being cautious. Does the weather affect if you trek at all? We always trek when possible even in bad weather, this is Scotland after all and it tends to rain a wee bit! The alpacas don’t tend to mind a bit of light rain but if the wind is too strong or if it’s pouring outside, they prefer to shelter indoors! If the weather is too bad and we can’t make it out, all bookings will be subject to cancellation and rescheduling. Do Alpacas spit like Llamas? Typically no, they have a much sunnier disposition than your average Llama! What sort of clothing and footwear should I bring? Please dress according to the weather, we’ll be going off the beaten track, so wellies are a great option! Unfortunately dogs are not allowed on our alpaca walks! The alpacas tend to be a bit jumpy around them and their wellbeing is our top priority. If you have any further questions or feedback please click here to send us an instant message and we’ll be more than happy to help.